10.30 to 12.30 Coffee is served in the Annexe at the front of the church and the Church is open for prayer. On Tuesday 7th February at Wallasey Town Hall the Mayoress presented another £22,500 to another eighteen charities, bringing the total donated in this, our 30th year, to over Half a Million Pounds. In those 30 years over 250 Wirral Charities have benefited. We would like to thank the hundreds of shops and shopkeepers who sell the stamps, the ‘must be’ thousands of Scouts and Guides and brothers and sisters and parents who deliver over half a million Christmas cards each year, but, especially, you the general public for buying our stamps each year and using your local Wirral Scouts and Guides Charity Christmas Post. There are lots of new things happening in the centre over the coming months. This includes 2 new and exciting exhibitions. 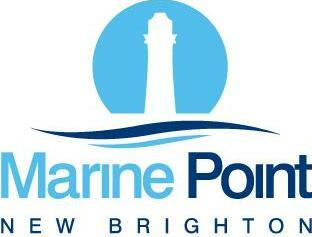 We are interested in collecting peoples favourite memories about New Brighton and would like to hear from you. We have started a memories wall and are collecting your memories, whether this is about a day trip to the beach, a ride on the train, sneaking over the wall to get a free ride, etc. we want to hear about it. Pop into the centre any time and fill in a memory card. We are also creating a community exhibition and would like to request your help. Each exhibition will be centred on a theme and we will request old photographs from the local community to create it (please note we will not keep originals but will copy them and give them back to the owners). The first exhibition will be based on New Brighton Tower and Ballroom so if you have any photos you would like to share please bring them to the centre anytime and we will happily scan them for you and put them in the exhibition. It would be even better if there is a story that goes with the picture but this is not essential. Finally we are also working with Anchor homes to undertake a programme of reminiscence sessions where we will be encouraging people to join us to chat about their memories of New Brighton. If you would like to be involved keep a look out for more information in the centre over the coming weeks. 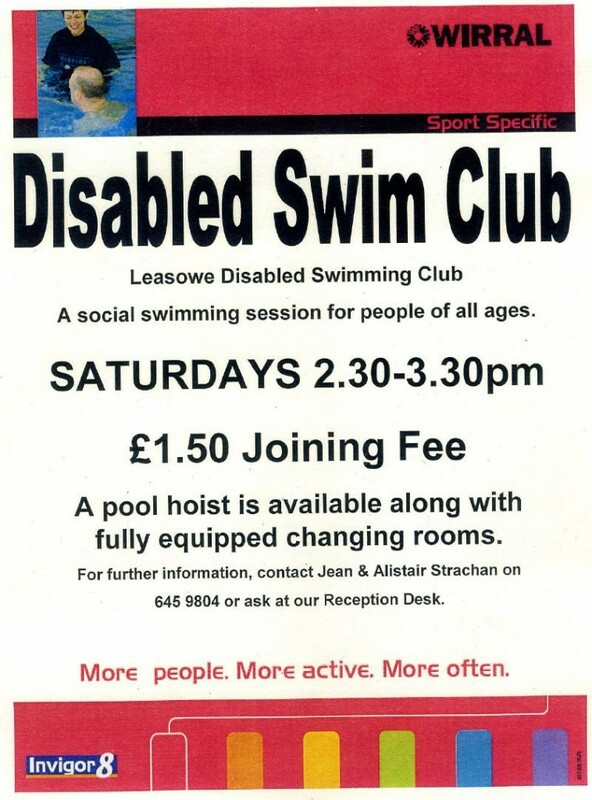 With all this going on we are always looking for more volunteers to help us make this centre a really big success. If you have some time each week and would like to help please contact Cathy on 639 3555, by email cathy.nbheritage@gmail.com or just pop into the centre for a chat. We are always happy to welcome new volunteers. Over the coming months the centre will continue to host bi weekly enjoyable and informative talks and presentations centred on New Brighton. These will highlight the towns heritage and history, will give an insight into techniques and skills to help you uncover mysteries of the past (both family and local history) and will stir your imagination with pictures and memories, don’t miss out. Tickets are £2 including refreshments (tea or coffee) and biscuits. All talks start at 2.30pm (places are limited so please come early) and will be held at the New Brighton Heritage and Information Centre. For more information: email cathy.nbheritage@gmail.com, phone 639 3555 or pop into the centre for a chat. Elleray Park, Wallasey is a place myself and friends visit with our dogs on a daily basis. It’s a pleasant park which many people use. Reading the local paper, I find that Elleray Park was one of the few on the Wirral which didn’t have a Friends group attached. So I thought why don’t we start one?! Many phone calls later and our group was formed. Several meetings later, attended by our Council Parks representative Mike Garbutt, a great help, our local Police community support officers and members, we are up and running. Now the park is in safe hands. Any issues which I have raised have been dealt with promptly and efficiently. We pick the litter up on a daily basis, (and other things!) and try and keep the parks appearance a nice one. Several people have said to me that it always looks tidy. We have great support from Darren and his assistant who maintain the park; they both do a great job. I can honestly say that, whilst a bit daunting at the beginning, the creation of the group was one of the best things we’ve ever done! Many of the units at Marine Point are now open, including the main leisure anchor tenant the Light Cinema, so we thought it prudent to provide an update on how the development is being perceived and the impact it is having on the area. 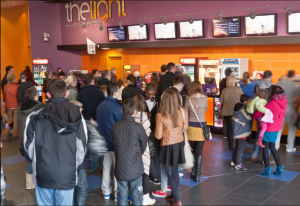 The Light cinema opening has been a huge success, receiving rave reviews from a large number of its visitors (despite suffering from teething problems normally encountered in new buildings, such as computer glitches and heating and cooling issues) The Light places great emphasis on customer service, setting them apart from the larger cinema operators. This has been a particular hit with its followers on internet sites such as Facebook and Twitter. Brooklyn’s Restaurant has also traded particularly well despite suffering a large number of setbacks with their kitchen during the very busy December period. They have since changed their menu to suit demand, along with listening to feedback, which has seen them change many of their menu items, recipes and prices. This will be an ongoing process for the foreseeable future. They are also looking to extend their breakfast and ‘bottomless coffee’ offers to weekdays as well as weekends. 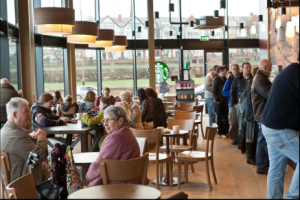 Starbucks coffee shop is also trading tremendously well and is drawing people to New Brighton from across the Wirral to enjoy a coffee and a walk along the prom. Marine Point’s most recent opening is Café Cream of New Brighton. Café Cream offers a range of over 30 different ice creams all made on site right here in New Brighton. 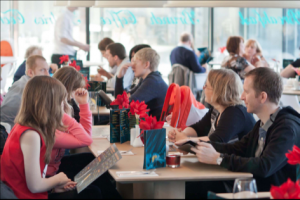 They also serve teas and coffees throughout the day along with paninis sandwiches, cakes and pastries. Morrisons, Travelodge and Home Bargains also continue to trade well. As you will know from previous news releases, Grosvenor casinos will be opening within the development, they are well underway with their fit-out and are set to open around May/June 2012. 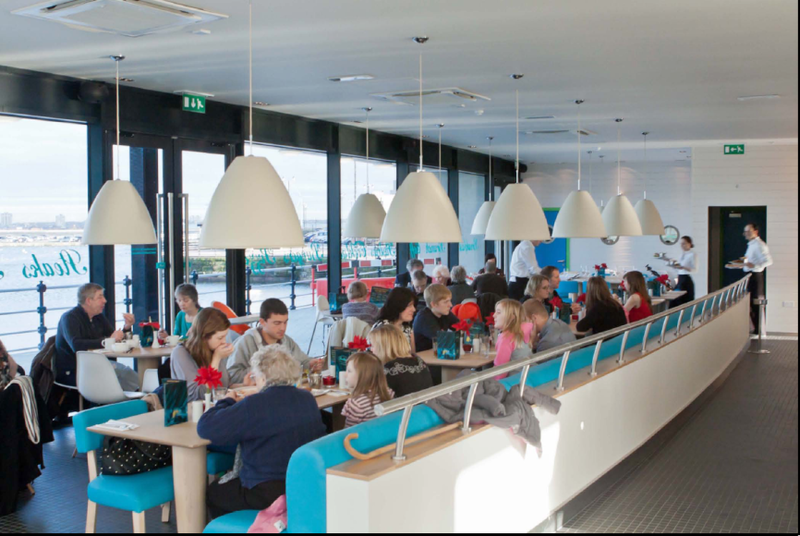 We can now also confirm we have agreed a deal with Prezzo to take a unit next to the marine lake, we hope they will begin fitting out within the next few months in order to open in late summer. We continue to talk with a number or restaurant operators and retail stores about the remaining units and are in advanced talks with 2 national operators of restaurant units for premises adjoining the cinema and adjacent to the marine lake. Hopefully, we will have more news in time for the next issue of The Walrus. We also had ongoing discussions with 2 gym operators (one national and one regional) in recent months to try and achieve what was originally set out for the stand-alone building designed for health and fitness purposes. Sadly both operators feel the catchment area is not adequate to support a successful health and fitness or spa operation. This led us to make the decision to allow the soft play centre to go ahead. 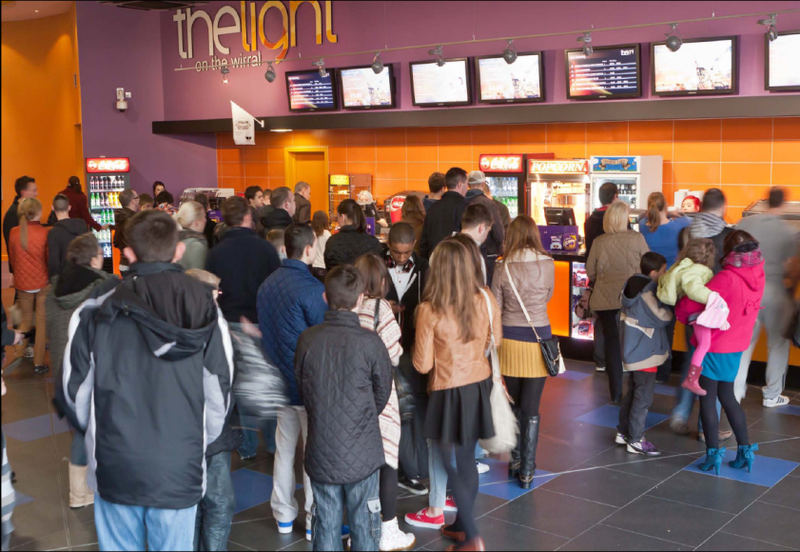 The operators are now progressing with plans for the building and hope to begin fitting out in May with a targeted opening in autumn 2012. Whilst the number of house burglaries on the Wirral continues to fall, garden sheds remain popular targets for thieves, due to their potential rich pickings, and often low-level resistance. Sheds can be overlooked, when home security is considered, despite the fact that the value of the contents, such as mowers, power tools, garden furniture and cycles etc can often add up to several hundred pounds. A burglar can also use garden tools, to break into a house. At a bare minimum, the shed door should be protected with a good quality/heavy duty hasp and staple, with a closed shackled padlock. These should be fitted using coach bolts or ‘non-return’ clutch screws. Windows should be protected using, internally fitted, grilles or mesh. Shed alarms are cheap to purchase, or consider extending your house alarm to cover your shed or garage. Bicycles are often what attract thieves to sheds in the first place. For this reason, bikes should always be chained and locked to something fixed or bulky such as a workbench or set of ladders. If there are other bikes in the shed, then they should be locked together. Ensure tools or other expensive items are kept, where possible, in the house. Failing this, they should be stored in a secure box. External lighting, and gravel on paths or driveways, will give you a timely reminder of an intruder, and likewise deter offenders. Low or damaged fencing allows easy access to your property. Ensure gates and fencing are at least 1.8 metres high, and consider fitting wooden trellis which will break, create noise and attract attention if climbed. Spiked toppings, such as ‘Cactus’ or ‘Prikkastrip’ can also be used to deter potential offenders. If you require any further information regarding shed security, please contact Constable Keith Winstanley, Crime Reduction Officer on 0151 777 2357. Merseyside Police are currently investigating a recent spate of thefts across the Wirral, where unattended vehicles have been broken into, with a variety of property being stolen. Try to avoid parking your vehicle in quite side roads where the culprits are able to operate unobserved, and ensure all doors and windows are secured when leaving the vehicle. Under no circumstances should goods, clothing or even empty carrier bags/containers be left in the vehicle. Thieves steal first and think about value later. Take all your belongings with you, or if you can’t, lock them in the boot. Mobile phones, sat. navs. and credit cards are frequently stolen from glove boxes. Car owners should also be mindful of leaving their vehicle unattended, with the engine running, when defrosting their windscreens in the mornings. There have been a couple of incidents, during the recent ‘cold snap,’ where ‘opportunist thieves’ have taken advantage of this. Cheap prices;£3.50 for a 3 course meal! Many, many thanks to the generous people of Wirral who wrapped, packed and donated 11,283 shoe boxes for Operation Christmas Child in 2011. That’s 11,283 happy children for whom Christmas was a time of real joy! Most of these boxes were taken straight to Romania from our Wirral warehouse at Woodside Business Park. We would like to thank Peel Holdings for once again donating premises for us to use. 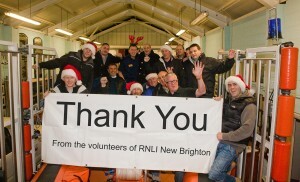 Thank you and welcome to the New Brighton Heritage Centre which acted as a Drop off Point. Thank you if you filled a box, thank you if you donated gifts for boxes, thank you if you knitted woolly warmers, thank you if you sewed pencil cases or other items, thank you if you contributed in any way to the happiness of those children. Well done to all and thank you from the children whose lives YOU have changed. Would you like to get involved this year? It’s never too soon. If you plan to fill a box, why not start collecting items now? Pick up 1 or 2 gifts each month and you will soon find that you have enough to fill a box. Look out for the sales – hats, scarves, and glove sets will soon be coming down in price. Look out for small cuddly animals and other small toys (please make sure these are new or “as new”). If you have any unloved Barbies, Kens, or action men, our make-over geniuses can do wonders with them. Contact us as detailed below and we’ll arrange pick-up. There are many other ways in which you can get involved. Are you creative? Can you knit, sew or produce other creative gifts? There are volunteers throughout the area who produce superb fillers (extra items for the shoeboxes) all year round, including a growing number of “knit and natter” groups. If you want to get involved or just want more information about Operation Christmas Child, call Margaret on 07708037969. You can also leave a comment or question on our “Wirral OCC” Facebook page. The generosity of people from Wirral and the north west has helped the Royal National Lifeboat Institution raise a magnificent £55,000 towards the cost of crew training and life saving equipment at New Brighton lifeboat station, beating a fundraising target set by the charity just eight months ago. 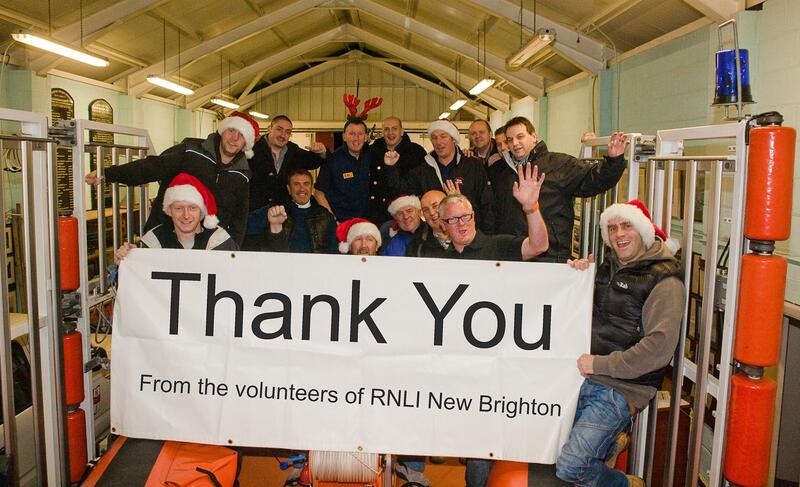 The New Brighton lifeboat volunteers wanted to raise £50,000 to buy equipment and fund training at their lifeboat station, which is one of the busiest in the north . However, kindhearted local people who got behind the campaign have helped them exceed the target by more than £5,000 – a phenomenal achievement, said Frank Brereton RNLI New Brighton Chairman. 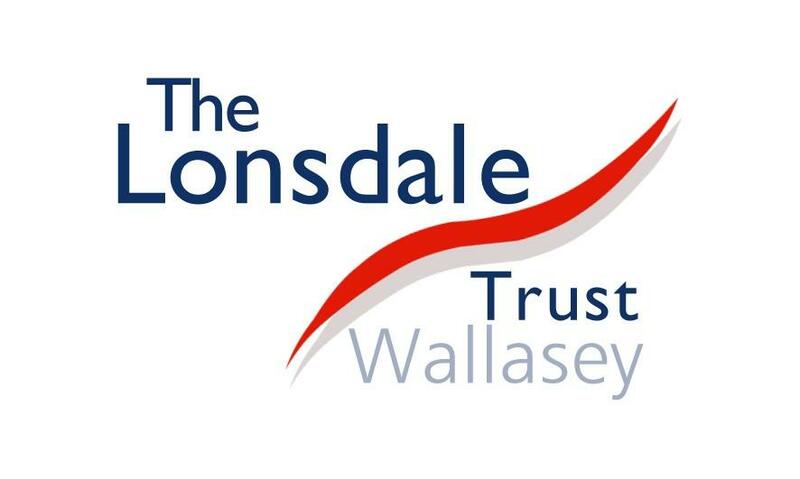 Wallasey & District RAOB – as their charity of the year the ‘Buffs’ spent 12 months fund raising with entertainment evenings, raffles and lots more. Liverpool based Buccaneer Sea Fishing Club – held a fishing competition with Aberystwyth based Ceredigeon Sea Angling Club. The first recorded cross Mersey Swim between Crosby and New Brighton by 2 ex-RNLI New Brighton lifeboat crewmen. The New Brighton based Magazine Bowling Club organised a competition between a wide range of local Bowling Clubs. 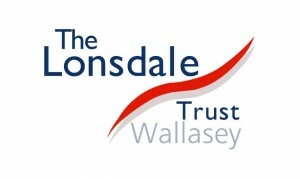 The League of Friends of Wallasey Hospitals who raised a substantial sum through providing refreshments to visitors at the Walk-in Centre at Victoria Central Hospital in Wallasey. Wallasey Ladies Lifeboat Guild with their regular coffee mornings and collections. The local photographer who ran the Liverpool Marathon in memory of his mother who was a long term supporter of the RNLI. The Jack & Jill Day Nursery who ran a pirates fun day for the 122 under 5 children in their care to raise funds for the lifeboat station. Last year the station had 56 call outs [ 36 for the lifeboat and 20 for the hovercraft ]. A total of 755 crew hours were spent on rescues and exercises by our volunteers. The Floral Pavilion has just released its new brochure listing the Spring Season which can be collected from the Theatre or the Heritage Centre. They are very excited at the theatre to welcome back another of Bill Kenwright’s lavish plays with an all star cast, Agatha Christie’s Murder on the Nile, will sell out fast and so the team at the Floral recommend you book as soon as you can! The season has an amazing line up of great live music including performances by Elkie Brooks, Steve Hackett, Syd Lawrence and the welcome return of Billy Ocean. They are also looking forward to visits from Fireman Sam, Elmo and all his friends from Sesame Street and a very special visit from Peppa Pig, who this year is on a treasure hunt! The Floral is now well know for great comedy and this season has something for everyone with performances from Barry Cryer, Jimeoin, Gervase Phinn and the hysterical star studded show Hormonal Housewives. If you would rather a bit of culture there is ballet (Swan Lake and Giselle) and an amazing docu-drama on Bertolt Brecht or why not celebrate Her Majesty’s Diamond Jubilee at the Floral with a very special proms concert. Don’t forget to book for the two large scale productions they have coming later in the year which are already selling fast; the spectacular Joseph and the Amazing Technicolour Dreamcoat and the our fabulous panto Peter Pan. Hand in Hand Theatre are delighted to announce that their new production After The Dream, which is part of The RSC OPENSTAGES will be touring local venues and parks on Wirral this June. 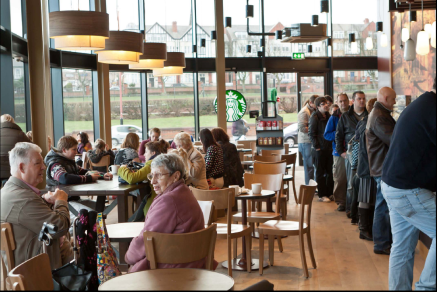 Part of the tour is supported by Your Wirral, Social Landlord Riverside and Wirral Forums. A professional Dvd is to be filmed in the picturesque setting of Vale Park with the backdrop of the Bandstand and river. Wallasey film company Insight Moving Images will capture this modern sequel to A Midsummer Night’s Dream. Hand in Hand are very grateful to Essar Oils ( formerly Shell UK) for their generous sponsorship towards this. They would also like to thank Vale Park for their continued support and assistance. Melrose Hall will also be part of Wirral Festival of Firsts and the production will also visit Ness Gardens South Wirral. The re-emergence of New Brighton continues to build momentum with the confirmation this week that JD Wetherspoon are about to launch a new million pound development close to Marine Point in New Brighton. 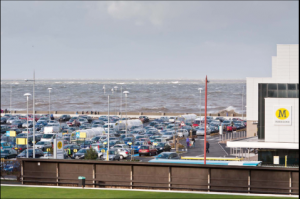 Rumours have circulated for some time about the possibility of Wetherspoons coming to New Brighton but finally this week a deal has been agreed that could see the new site open in the summer 2012. The confirmation of JD Wetherspoon coming to New Brighton is another feather in the cap for the area and is a direct result of the multi pound investment undertaken by Neptune Developments to redevelop the Promenade. Wetherspoon Chairman Tim Martin visited the area in December and was impressed with the development and personally gave the project his thumbs up. The new Wetherspoon site will be located on the site of the former Rjs Nightclub in New Brighton which closed last summer and will transform the block opposite Marine Point with a 13 week Re-Development that is expected to cost in excess of £1 million pounds. Gary Laycock (Chief Exec) of local property company Accesstrial Ltd who own the property said “This is a fantastic deal for the area and should generate much interest in New Brighton. It is been a long protracted deal, that has taken 15 months to conclude but we hope it will work as a catalyst to attracting more big companies to invest in New Brighton. I appreciate that some local businesses will be threatened by this announcement and the impending launch of the site but it will bring more people to the area by providing greater choice. 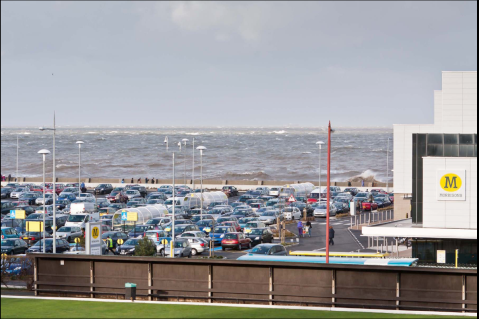 The deal with JD Wetherspoons is all credit to Neptune Developments who have done a great job in transforming the promenade and Wirral Borough Council who worked so hard over many years to deliver a visionary development for New Brighton”. 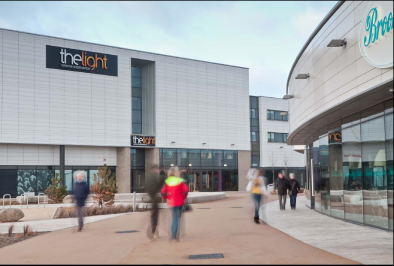 Marine Point launched in December with Morrisons, Light Cinema, Travelodge, Starbucks, Home & Bargain and Brooklyns already open.